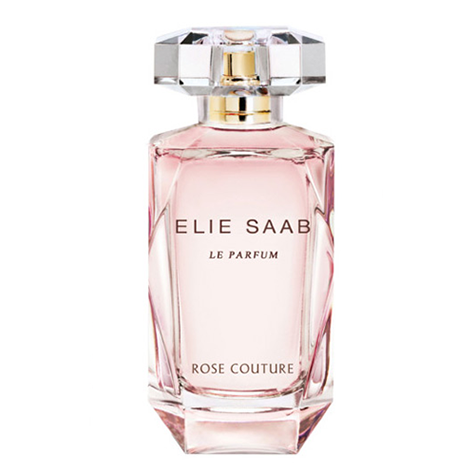 If Ralph Lauren’s “Romance” and Valentino’s “Donna” got married, moved to the suburbs and had a baby it would be called “Rose Couture” by Elie Saab. This perfume was one of those impulse buys that smelled great at the counter but was a regrettable experience when worn at home. Not that there is anything unpleasant about this fragrance, it is just too overwhelmingly sweet and too familiar to my nose, as if I’ve smelled hundreds before just like it. RC feels like an inferior flanker (a branch-off of something extraordinary) in its current form, there are so many possibilities here but unfortunately that potential was never realized. For starters, the rose is obnoxiously flagrant – it seemed to have drowned out all the other notes. Heck I can barely detect the caramel and vanilla, where is the supposed litchi? Where is the sandalwood? This fragrance feels TOO safe, just your basic floral and some weaker notes stumbling offstage somewhere. If you took Valentino’s Donna and stripped it of its lipstick scent, subdued the boozy vanilla and leather; if you took out the patchouli and watered it down with liquid candy…you would have Rose Couture. The projection is strong, the longevity is moderate. The dry down is extremely bland; it smells like a weaker version of itself. Overall, a very generic floral that smells safe and unexceptional- possibly within the same category as La Vie Est Belle by Lancome. If you are looking to smell like everyone else, Rose Couture would be the ideal candidate. However if you’re the kind who goes against the grain, consider skipping out on this flanker.